Talking Trash & Wasting Time - Be warned this blog may involve crafting, cuteness, colourful cursing, coolness & creative crap ♥ Not your Nanna's craft Blog! Easy DIY Tutorials, Fashion finds, Beauty tips & art. 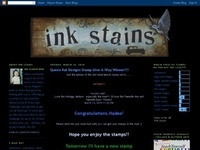 Loves Rubberstamps Challenge Blog - This is the weekly Challenge Blog for the Loves Rubberstamps Store. We offer a new fun and exciting challenge every Tuesday. We have weekly prizes from multiple sponsors! Come craft with us and have some fun! 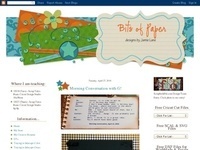 JanBCards - As an UK Stampin' Up! Independent Demonstrator, I love sharing my passion and skill for papercrafting. 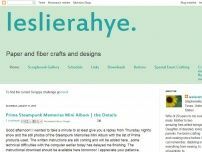 I post a new card almost everyday on my daily blog, as well as links to my YouTube tutorials twice a week. 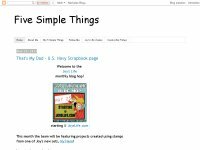 Five Simple Things - I blog about Simplicity...in crafting, cooking, homeschooling and life. 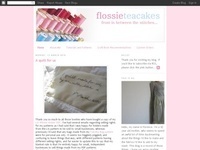 I also host INSPIRE ME FRIDAYS, a weekly linky party welcoming ALL crafters and ALL types of crafts & DIY projects. Join us for some great inspiration!